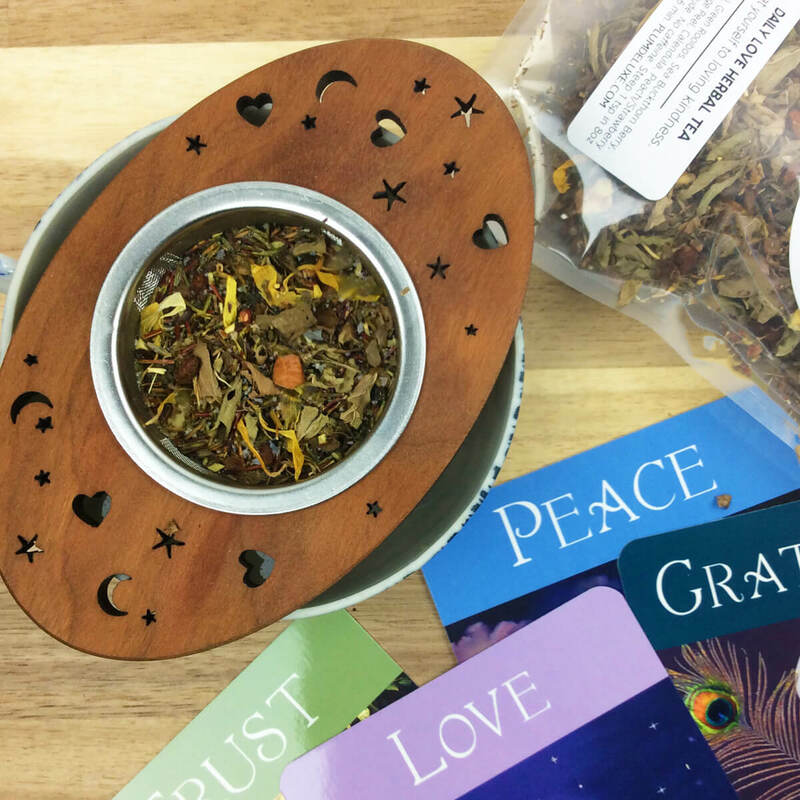 Treat yourself to a delicious cup of loving kindness with our Daily Love herbal tea. 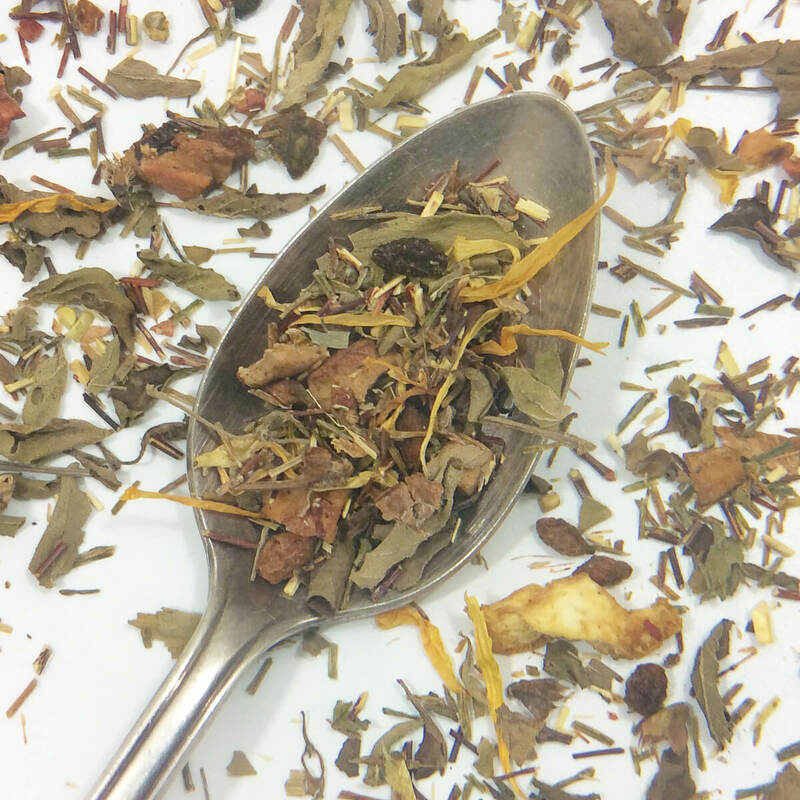 This is our signature tulsi tea or holy basil tea, with Sea Buckthorn Berry blend. The tulsi herb offers a crisp and refreshing taste (similar to a white tea, in our opinion), and is filled with nourishing benefits for both body and mind. We pair it with sea buckthorn berry, which is a tart vitamin C bomb! Fruity notes help provide some balance and body. This blend is a must have for your daily self care regime. I really like this tea. It has a light flavor with many different components. Pairs well with honey dust and a spoonful of whip cream. When I drink this tea all my worries drift away. I was not sure how this tea would taste but I was very pleased with it. The taste is light, with subtle fruity undertones. I’m ordering more right after I write this review. You wouldn't expect a tea with so many health benefits to be so light tasting but this one is and its great. I taste a slight .... pine... flavor that I associate with the Holy Basil. The overall taste is light and crisp. This tea will be my go to for work (customer service can be stressful). This is one of my must have in stock all the time....wonderful flavor. And if your starting to feel run down all the vitamin C is a great boost. I find the Tusli in this blend really uplifting. I’ve been grabbing it after work. A nice stress relief. Ingredients: Holy Basil (Tulsi), Green Rooibos, Sea Buckthorn Berry, Apple Pieces, Orange Peel, Calendula, Peach/Strawberry Essence, Love, Gratitude. No caffeine.